^ Coulombe, Charles A. (2016). Star-Spangled Crown: A Simple Guide to the American Monarchy. Tumblar House. ISBN 1-9443-3905-1. ^ "Sounds of Summer: Dame Joan Sutherland". PM. Australian Broadcasting Corporation. 2 January 2006. Retrieved 18 April 2019. ^ Pearlman, Johnathan (7 September 2013). "Ten things you didn't know about Tony Abbott". telegraph.co.uk. Telegraph Media Group Limited. Retrieved 19 Nov 2013. ^ a b Johnson, Carol; Wanna, John; Lee, Hsu-Ann (2015). Abbott's Gambit: The 2013 Australian Federal Election. ANU Press. p. 281. ISBN 1-9250-2209-9. ^ Gordon, Brook-Shepherd (1991). The Last Empress: The Life and Times of Zita of Austria-Hungary, 1892-1989. HarperCollins. p. 289. ISBN 0-0021-5861-2. ^ Rosenfeld, Sidney (2001). Understanding Joseph Roth. University of South Carolina Press. p. 55. ISBN 1-5700-3398-6. ^ von Kuehnelt-Leddihn, Erik (2001). "Monarchy and War". Journal of Libertarian Studies. 15 (1): 1–41. Retrieved 18 April 2019. ^ "Ernst Fuchs posthum als Monarchist geoutet". Kurier.at (in German). Funke Mediengruppe. 16 August 2017. Retrieved 18 April 2019. ^ Moore, J.; Sonsino, S. (2003). Leadership Unplugged. Springer. p. 71. ISBN 0-2305-9643-6. ^ "Happy Birthday, America. One Small Suggestion ..." Retrieved 18 April 2019. 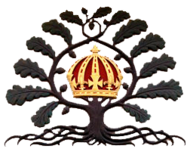 ^ "Patrons | British Monarchist Society and Foundation". bmsf.org.uk. Retrieved 2015-09-02. ^ de Laubier, Charles (29 July 2017). "Quand de Gaulle faisait discrètement allégeance à la noblesse français". L'Express (in French). Groupe L'Express. Retrieved 18 April 2019. ^ "Charles Maurras on the French Revolution · Liberty, Equality, Fraternity". Roy Rosenzweig Center for History and New Media. Retrieved 12 April 2019. ^ Wheeler, Douglas L. (1998). Republican Portugal: A Political History, 1910-1926. University of Wisconsin Press. p. 39. ISBN 0-2990-7454-4. ^ Brooker, Peter; Bru, Sascha; Thacker, Andrew (2013). The Oxford Critical and Cultural History of Modernist Magazines. Oxford University Press. p. 427. ISBN 0-1996-5958-3. ^ Dix, Steffan (2017). Portuguese Modernisms: Multiple Perspectives in Literature and the Visual Arts. Routledge. p. 162. ISBN 1-3515-5360-7. ^ Williams, Frederick G. (2006). Poets of Portugal: a bilingual selection of poems from the thirteenth through twentieth centuries. Luso-Brazilian Books. p. 59. ISBN 0-8505-1703-6. ^ Raby, D. L. (1988). Fascism and Resistance in Portugal: Communists, Liberals and Military Dissidents in the Opposition to Salazar, 1941-1974. Machester University Press. p. 203. ISBN 0-7190-2797-7. ^ Morgan, Roger; Claire, Tame (2016). Parliaments and Parties: The European Parliament in the Political Life of Europe. Springer. p. 307. ISBN 1-3492-4387-6. ^ a b c Yasmann, Victor (2 October 2006). "Russia: Monarchist Nostalgia Remains Powerful". Radio Free Europe. Radio Free Europe/Radio Liberty. Retrieved 18 April 2019. ^ "Russian Monarchist Withdraws Presidential Bid After Founding 'Romanov Empire' in Africa". The Moscow Times. MoscowTimes LLC. 24 January 2018. Retrieved 18 April 2019. ^ Carroll, Oliver (3 November 2017). "Inside Russia's secretive cult of Tsar worship: How royalism is thriving 100 years after murder of Nicholas II". The Independent. Independent Print Limited. Retrieved 18 April 2019. ^ Balmforth, Tom (6 March 2018). "Claim That Nicholas II Is Weeping Holy Tears In Crimea Prompts Laughter". Radio Free Europe. Radio Free Europe/Radio Liberty. Retrieved 18 April 2019. ^ Sokirianskaia, Ekaterina (22 March 2017). "Vladimir Putin has one reliable set of allies: Russia's iron ladies". The Guardian. Guardian News & Media Limited. Retrieved 18 April 2019. ^ Haynes, Rebecca; Rady, Martyn (2011). In the Shadow of Hitler: Personalities of the Right in Central and Eastern Europe. I.B.Tauris. p. 296. ISBN 1-8451-1697-6. ^ Case Studies on Human Rights and Fundamental Freedoms Volume One: A World Survey. Martinus Nijhoff Publishers. 1975. p. 91. ISBN 9-0247-1780-9.